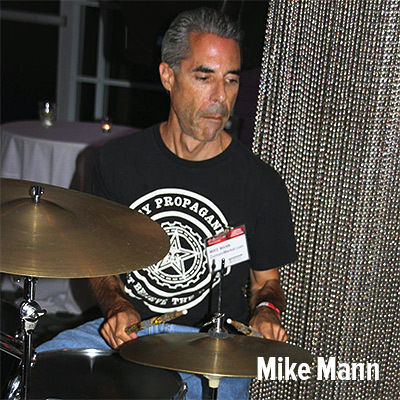 Mike Mann’s conventional and professional wisdom has been immortalized in a series of MannQuotes; we started the series in 2013 for that very purpose. Sharing Mike Mann’s entrepreneurial and often, very personal statements, is an educating and entertaining anthology worth reading. After all, it’s not just Mike’s business acumen that stands out, or his trademark sense of humor, peppered with references to his Jewish background. MannQuotes define the man who often rages against the establishment machine, the Byzantine political arenas, and the inability of powerful – at least, on paper – public officers to sustain growth and progress in today’s society for the sake of America’s socio-economical advancement. Mike Mann’s tidbits are collectible gems that stand out and independently of his domainer persona, just like those of a modern cynic philosopher. But talking enough on our part. Let’s put it another way on Estibot: Most likely no serious domain investor has made money from their robotic random number generator, all had to do fundamental market research to appraise serious domains. Granted I don’t speak great English all the time, however I didn’t interview to be a television reporter, and I have an editor for my serious writing. No idea how most of these people passed the screening. I am purchasing super premium .Com domains at about 1% of their intrinsic value, so a $100K loan is collateralized with $10M worth of domains. Hard to discern the lesser of the evils: a completely corrupt leader of the establishment to bankrupt us; or a lying, scamming, racist perv? Please don’t ever compare my domain appraisals to a robot, specifically estibot which is less than useless, it’s totally deceptive. I’m not merely the best domain seller in the world, having sold the most with the highest ROI, I’m also the best at purchasing premium domains on auction and directly, for dramatically less than they are worth. There is a ton of great inventory right now because we major players have spent all our cash……….so if you hook me up you are in on the greatness….if not the egocentricity. If you make the world’s best widgets, it won’t matter if nobody knows about it. Your success is more predicated on your excellence at sales and marketing. So you are actually a sales organization not a widget manufacturer. Having the best widgets is merely a background process that has to be solid from the git-go. All the dynamic growth opportunity is not with the product but with how you get it out there. I love you all but can’t do free domain appraisal all day. Most likely its worth 0 is your answer though. Even if your business is small you need to write a serious business plan so you don’t waste time. If you are too lazy or busy to read or listen to my books, if you read my social eventually I will infect your mind and you will be right. Ive always worked through the night, and sent messages whenever necessary, now I am seeing people get pissed off if they get messages at 4AM etc, never occurred to me people would leave sound on when they are trying to sleep, what about spammers and the like? I assume messages flow to all devices 24×7, dont you have people in other time zones or international you work with or speak with? You have no fear of rejection. You don’t care if the person doesn’t want your offer, as long as you try your best to deliver the best presentations and offers and negotiations, to the best and most people, with the tightest targeting, in the shortest amount of time. If you have $350 you can still buy a great contextual .Com domain and act like a billionaire, don’t sell yourself or your brand short with lame alternatives.